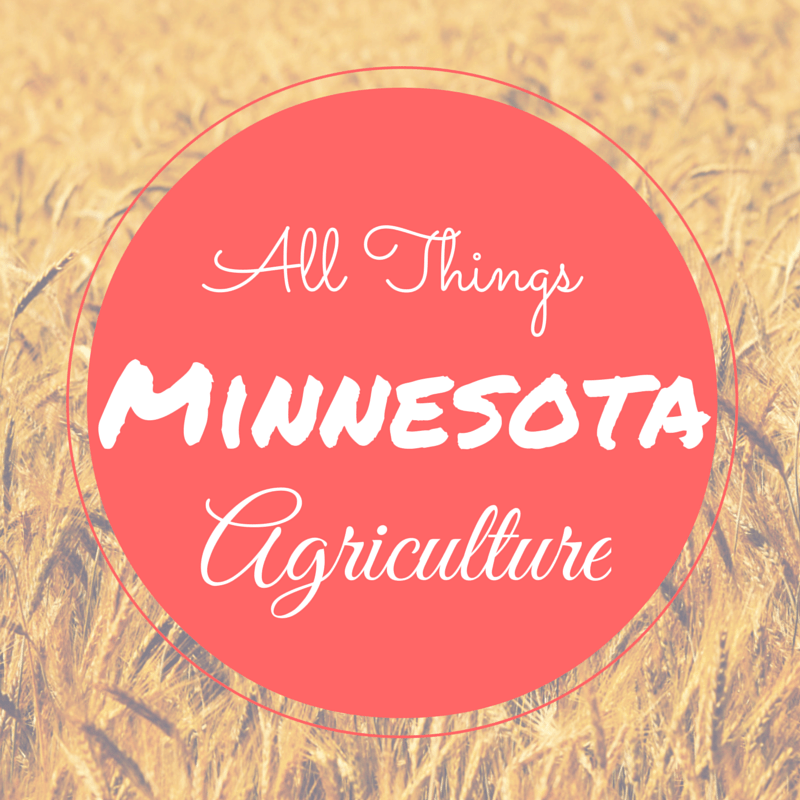 Day 29 of my 30 Days of Ag “All Things Minnesota Agriculture” is a fairly new organization (nationally – 2010) – CommonGround. CommonGround is a group of volunteers, mostly women and moms from the farm, where our purpose is to have conversations and answer questions other women have about their food. Questions such as how there food is grown or raised. And who better to ask than a farm mom. It’s through this organization where conversations take place. This organization is truly one of my favorite organizations that I volunteer for. 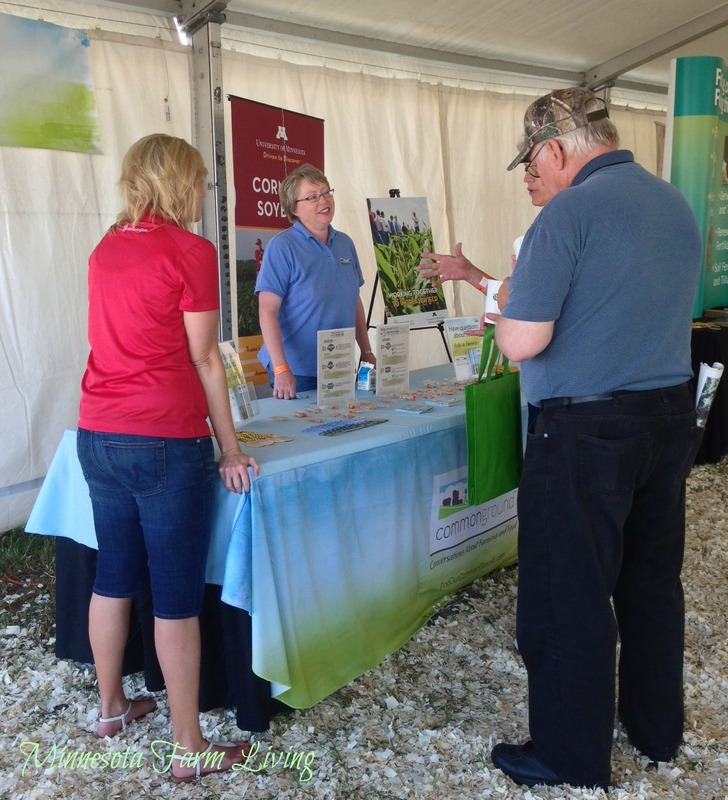 It is funded by farmers through the corn and soybean checkoff. Checkoff monies are deducted from every farmer’s check when they sell corn or soybeans. The checkoff monies are highly regulated by the USDA and can only be used for certain purposes. And thank goodness CommonGround is one of those approved activities. There is both a state and national organization. In Minnesota we have about 18 volunteers. What kind of activities is CommonGround involved with? CommonGround Minnesota is involved in events, conferences or activities where there is a high probability of other women in attendance. 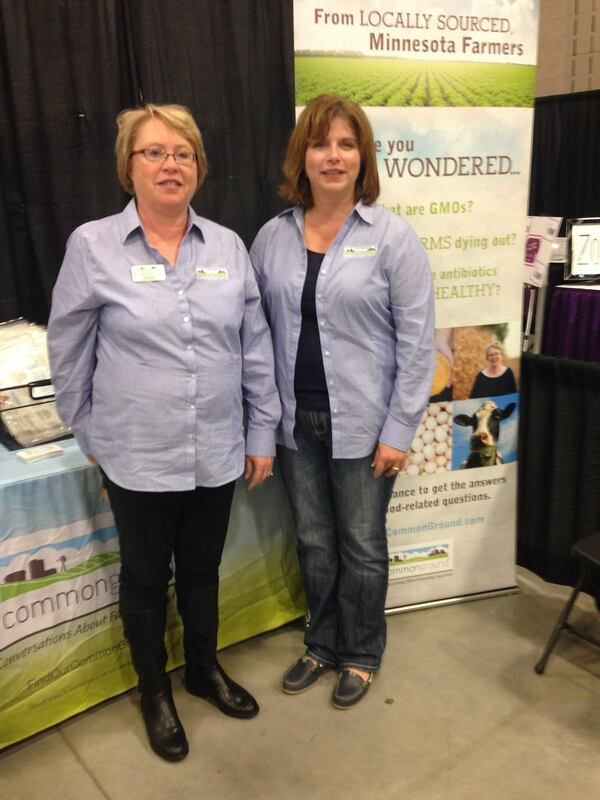 They have been to Women Expos, Mom’s Conventions, Dietetics and Diabetes Conferences. They also have put on an influencer event where volunteers can connect to people who have an influence on food decisions. Read more about Minnesota’s last influencer event. How do moms have their questions answered? CommonGround volunteers are available. Questions can be asked in person during an event where volunteers are present or a question can be submitted on the CommonGround website. The organization supports ALL types of farming practices, as well as all types of crops and livestock. Why do I love CommonGround? Yes, I am a CommonGround volunteer. I love CommonGround for many reasons. First, I love the organization’s purpose. Never in our history has there been more of a disconnect between agriculture and consumers. Many consumers want to know more about their food. And rightly so. CommonGround is just one tool consumers have to give them access to those answers. And I love talking to consumers about what I do and why I do it! I love the people involved in CommonGround, all the way from national to state. We have a wonderful coordinator in Minnesota, Meghan Doyle. She puts in all the behind-the-scenes work for our events. As volunteers, we have input into the events we participate in, but for the most part, we just show up to the events because Meghan does a fantastic job coordinating our events. And I love the other volunteers also. Everyone has the same goal – talk to consumers about the truth behind their food. And when you belong to an organization where everyone has the same passion, enthusiasm and goal, it truly makes volunteering fun and fulfilling.